Let’s face it – as crazy moms, we are always on the go. From keeping our kids fed, houses clean, laundry done (bonus for folding it), bills paid, and work done, there is very little time to decompress and relax. And with all we have on our plates, it’s more important than ever that we make time to relax. 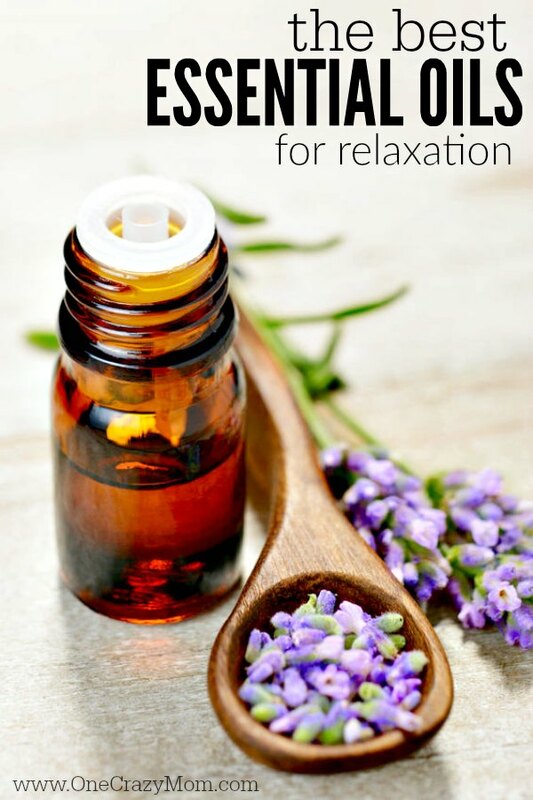 Let’s learn about the best essential oils for relaxation! According to the Mayo Clinic, practicing relaxation can slow your heart rate, lower your blood pressure, improve digestion, improve the quality of your sleep, reduce the activity of stress hormones, and improve mood, among other important benefits. With limited time to relax, you want to make sure to get the biggest return on the time you do have, and essential oils are key. While these oils work well anytime, if you have a few minutes each day to sit quietly by yourself to pray or just be in silence with your preferred essential oil applied topically or placed in a diffuser, you’ll start to see the benefits even more quickly than using the oils alone. Lavender is the granddaddy of essential oils for relaxation. It also is useful for insomnia, hair loss, pain, anxiety, and stress. My favorite body wash for my kids has lavender, and it helps to set a nice, calming tone for the rest of the bedtime routine. 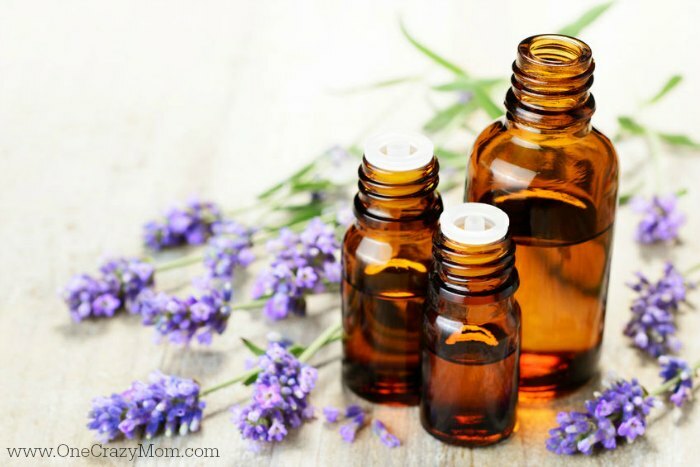 For you, try massaging a couple drops of lavender oil onto your wrists or temples (test your skin first to make sure you don’t have a sensitivity – if you do, mix with a carrier oil before applying topically). This is also a great oil to diffuse. Learn all about the uses of Lavender here. Ylang ylang essential oil comes from the tree with the same name found in Asian and South Pacific rain forests. It is fantastic for stress relief and combating depression, not to mention being extremely useful with skin conditions and disinfecting wounds. It can be applied topically, or it’s a nice addition to your bath water to decompress at the end of a long day. Check out Young Living’s version and several blends. I lumped these together because while they are separate essential oils, they have similar properties and benefits. All three have that great citrus scent that simultaneously acts as a mood enhancer and has a calming effect. They also may promote healthy sleep by fighting insomnia and are wonderful for skin care. One word of caution – your skin may be extra sensitive to the sun with these oils. Be on the lookout for Roman chamomile oil which is more appropriate for mental health – stress, anxiety, and relaxation. Just today, a friend of mine shared that she used a chamomile bath wash for her toddler and it made a significant difference in calming him before bedtime. Do the same for yourself with a soothing cup of chamomile tea in the evening as you unwind. Clary sage is a wonderfully relaxing essential oil that helps with tension, anxiety, stress, and migraines, and it can be a huge help for women during their menstrual cycles. It can produce a euphoric feeling so should not be used during pregnancy or prior to driving. Geranium oil is great for the skin, and its gentle, calming effects does wonders to relieve stress and anxiety. It also promotes balance and can help to minimize the effects of menopause, such as hot flashes. Each of these oils works nicely on their own, but don’t be afraid to try blending to find the right mixture for you. If you do blend, make sure to come back and tell us what blends you liked. Happy relaxing! 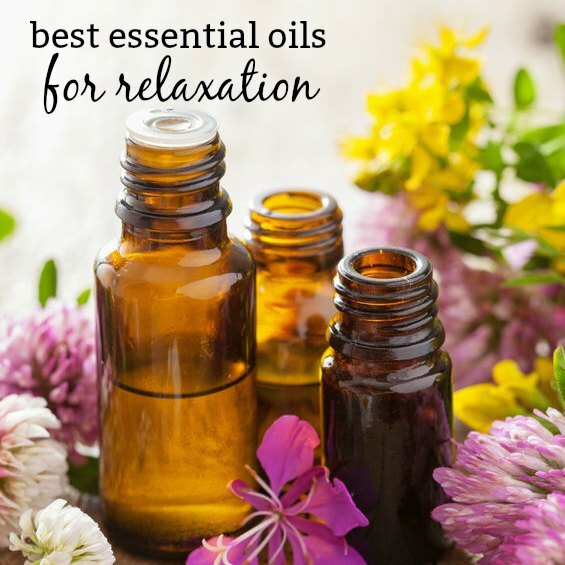 Relaxing should be easier now that you know the best essential oils for relaxation! See which one works best for you as everyone is different. It’s a great way to promote calming and relaxation in your day to day activities. Life is stressful for sure and mom’s have so much on their plates.